One of my favorite sayings is “God doesn’t call the qualified, He qualifies the called.” If you are like me, you have at times felt insecure in becoming more involved here at St. Isidore. 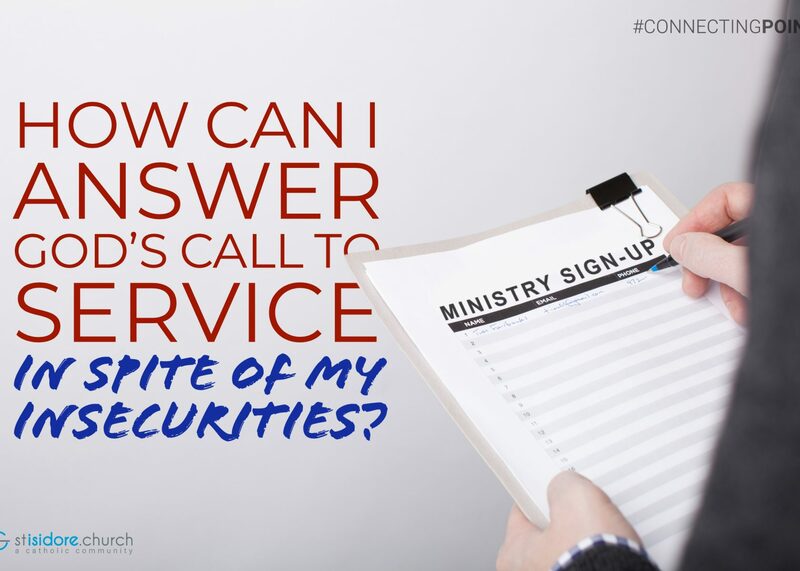 You may have thought your voice isn’t good enough for the choir, or that you are not holy enough to be a Eucharistic minister, or not wise enough to be a faith formation teacher, or that you don’t know enough to be an altar server, but something amazing happens when someone decides to get more involved in their Church, the Lord always provides. If you feel for a moment that the Lord is calling you to become more involved, please do so. Fr. Ron, and Fr. Mark and our staff, are all here to help you on your journey. Every time another person steps into ministry we are that much more equipped to handle the mission of the Church-making disciples of all nations. Our priests are not equipped to do this on their own, they need YOU to be faithful to your call and to become involved. If we are able to follow the Lord’s command, like the fishermen in the Gospel, we will be blessed. And, this blessing will be abundant! Take a moment today, right now and offer a prayer to the Lord asking Him what you may do to help further the mission of the Church. Say this prayer every day, until you feel compelled to act. When you are ready, we are ready to have you join us in the incredible mission of the Church. I look forward to working with you in this unbelievable challenge.